With China’s rise to the status of world power, trade and political links between Africa and China have been escalating at an astonishing rate. Sino-African relations are set to become an increasingly significant feature of world politics as China’s hunger for energy resources grows and many African countries seek a partner that, unlike the West, does not worry about democracy and transparency, or impose political conditions on economic relations. Ian Taylor, one of the foremost authorities on the international relations and political economy of Africa, provides a comprehensive assessment of relations between China and Africa. He discusses the historical evolution of Sino-African relations in the period since the 1949 revolution, with particular emphasis on the period since the end of the Cultural Revolution. 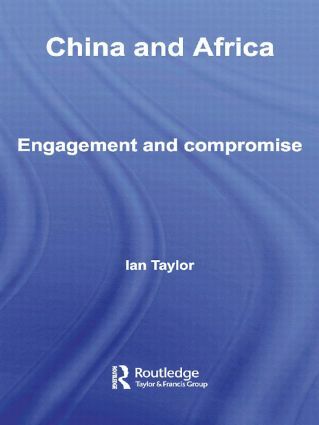 Considering in detail China’s relations with Angola, Mozambique, Zimbabwe, Namibia, Zambia, South Africa, Botswana, Lesotho, Swaziland and Malawi, Taylor demonstrates how China has used the rhetoric of anti-hegemonies to secure and promote its position in the Third World. Taylor gives an engaging account of the hitherto under-researched topic of relations between China and Africa, a phenomenon of growing importance in contemporary international politics.